When designing a monument there are many options to choose from. 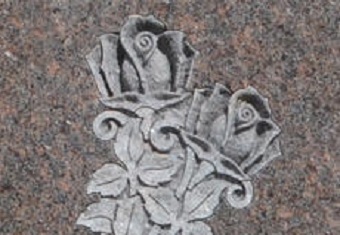 Aside from selecting the granite color and size/shape of the monument there are a variety of accents that can be added, such as, vases, porcelain photos, laser etchings, and hero emblems. Vases can be added to the monument when set as a headstone. 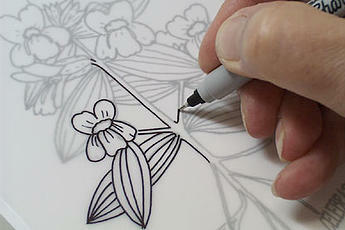 To learn more and view the differnet options please visit the Vases page. A Porcelain photo can be inlaid in the monument. There are a variety of shapes and sizes. To view more examples visit the Porcelain Photos page. We provide a variety of granite color options.  To view all our stock and non-stock granite colors please visit the Granite Colors page. Hero emblems are bronze medallions that are available for all major branches of military or civil profession signifying service to others. View All. 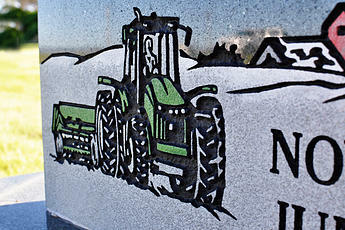 A Laser etching can be added to any black granite monument. To view more examples visit the Laser Etchings page. Memorial Monuments can provide shape carving, which is a process where artwork is cut deeper into the granite to help add dimension and movement. Memorial Monuments can carve and model granite to create three-dimensional sculptures, bringing life and movement to the monument. 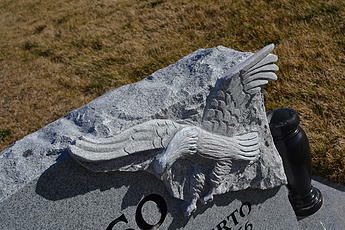 To View more examples of Scultped monuments go to custom monuments. If our stock selection of artwork does not include all you need, we have artists who can draw custom art for you. Artwork on the monument can be shadowed and highlighted with paint to help add dimesion. Scenes and flowers can be painted with color to add a beautiful touch.